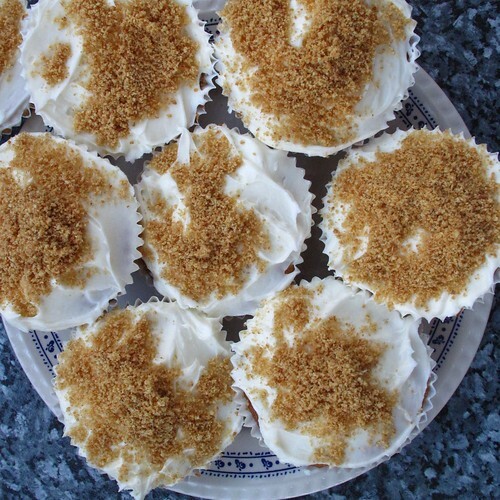 Better late than never, this is the round up of my baking endeavours for February. The aim is to reach 52 during 2013. Very much the best thing I’ve baked this year so far! 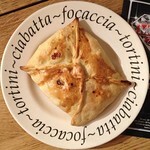 A recipe from the Hairy Bikers, I will be trying more of their stuff. I’d like to make this again, but will probably half the recipe as it was huge! 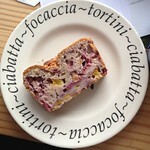 I could really do with buying a proper tin for quiche rather than using a sandwich tin. Though it has worked ok so far I guess. 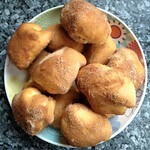 Another Hairy Biker recipe and another one I need to make regularly. This is the one bit of baking that I do get done on a regular, albeit annual, basis! 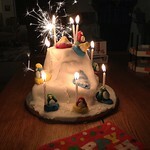 This year it was the usual sponge from the Australian Women’s Weekly Birthday Cake book with lots of lemon buttercream, lemon curd, badly iced with shop bought fondant and then me and Miranda made the penguins to go sliding down it (we learnt to make the penguins for last year’s Christmas Cake). I think that was it, it was a short month. With January’s 7 bakes I am up to 11/52. Hello blog. I won’t make any rash promises to take better care of you – but I have found something for you to keep track of for me. Baking is a part of Christmas – it’s much nicer to whip up a tray of mince pies than it is to rip open a shop bought box – and every year it surprises me how easy it is to bake things rather than buy them. But somehow I forget that from January until mid-December. This year I’m going to remember. 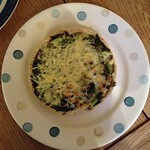 I baked a quiche on 4th January and quickly decided to call it the first of fifty-two baked things in 2013. Not quite a new year’s resolution, but a bit like it, only yummier. This is what I came up with in January. If the recipe is online I will have linked to it from the flickr page. 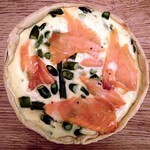 I buy shop bought quiche quite a lot – I will be making them from now on! These had been on my ‘make at Christmas’ list but I hadn’t got around to them. 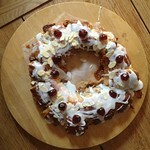 Very nice and I will be making them again with another filling (or perhaps mincemeat again). Next time I’ll leave them to rise a bit longer and get rounder. I tried to make pasties years ago and they were a disaster. These weren’t. I have every intention of making them regularly now! I wouldn’t have tried this one without the challenge. Needed cooking slower and longer I think, though nobody objected to it being a bit batter-y. These were nice enough, but the ginger got stuck in the caramel on the tins (maybe it was overcaramelised?) and they weren’t worth the bother of buying ready-made puff pastry for. I made some more pasties already! Flying without the recipe this time I ended up with not enough pastry and too much filling. And somehow they ended up as triangles. I didn’t use as much pickle or cheese – next time I will think about making the filling a bit more exciting. They make a good meal all the same though. This wasn’t what I was planning on making yesterday (which involved a shed load of ground almonds that will keep for another time) but the market had cheap raspberries and peaches and this looked like a nice recipe. Basically it’s a muffin in loaf form. I think I had a bit too much wet fruit in it but I think it’s nice. I’ve realised I also made another small batch of mince pies with the leftover pastry from the tarte tatin, but since they obviously weren’t important enough to get a photograph I won’t include those. I’m quite pleased with all this, and have plenty of plans for other bakes during the rest of the year. 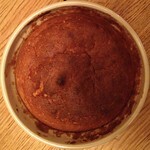 or, how to get a round cake into a square tin. Every year about this time I think about making the Christmas cake and find lots of recipes for circular Christmas cakes. But Christmas cakes, in my eyes, must be square! This is probably mostly because my mum made square cakes in my childhood but also because square cakes are much easier to cut into slices of the exact size you feel like eating. So every year I find myself wondering how to convert a recipe for a round tin to fit in a square tin. So every year I work out the area of an 8 inch circular tin and see that I need to put the same amount of cake batter into a 7 inch square tin. 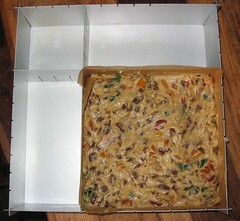 Or I work out the area of a 9 inch circular tin and see that I can make the same cake in an 8 inch square tin. I see the inklings of a rule of thumb “A cake meant for an n inch round tin can be made in an n-1 inch square tin” – but how useful is that? The formula for the area of a circle is πr2. Since cake tins are usually measured by their diameters rather than their radii the radius I want to plug into the formula is n/2. The formula for the area of a square, with sides an inch smaller than the circle n-1, is simply (n-1)2. I only care about the area of the round/square tin, not its volume, as I generally want the cake to be the same thickness whatever shape it is. What I want to know how close together these areas are to know whether our rule of thumb holds across different size cake tins. How I do this is to take the area of the round tin then take away the area of the square tin. This tells me how many more square inches are in the round tin than in the square one. This function is: π(n/2)2 – (n-1)2. I ask Wolfram Alpha to plot “plot pi*(n/2)^2 – (n-1)^2 between n=5 and n=15” for me. The limits are there because a cake tin smaller than 5 inches diameter or larger than 15 inches diameter is not something a domestic cook ever needs to worry about! So it looks like the rule of thumb holds up pretty well between about 7 and 11 inch round tins, below about 9 inches we have a bit too much batter to fill a square tin of an inch smaller size, and above that we have not quite enough. From 11 inches on it looks very much like we have a lot less batter than required and will end up with a thin cake. 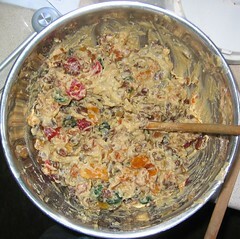 But I haven’t accounted for the fact that there will be more batter anyway in a bigger cake. I ought to look at the ratio (or percentage) of how much less batter we have to what we need rather than just how much less we have. To do this we divide the extra area from the above formula by the area of the square tin. In Wolfram Alpha speak that is “plot (pi*(n/2)^2 – (n-1)^2)/((n-1)^2) between n=5 and n=15“. This shows that moving a recipe for a 6 inch round cake to a 5 inch square tin will give you about 12% more cake batter than you need. At the other end moving from a 15 inch round tin to a 14 inch square one gives you about 10% less batter than required so you’ll get a thinner cake. To me this sounds well within reasonable limits and I’m happy to say that you should always make an n inch round cake recipe in an n-1 inch square tin. The only thing that’s bothering me now is that thin cake in a big tin – when would you be better off moving to an n-2 inch tin to get a thicker cake again? Back to Wolfram Alpha again… I won’t spell out all the details as by now you will either be with me or completely lost, but it looks like at about a 14 inch round tin you could either use a 13 inch square tin and have a cake 10% thinner, or go down to a 12 inch tin and have a cake 10% thicker than the round one. 12 inch square Christmas cakes are a bit out of my league though, after all there is Christmas pudding and gingerbread houses to get through before you even get to the Twiglets so I think I’m happy with my rule of thumb! Primary schools always tell you that maths is useful for cooking, and so it is, I think they had basic arithmetic in mind really though! And just in case anyone reading this is actually planning on making an n inch round cake in an n-1 inch square tin my experience is that the cooking time is about the same and usually depends more on the idiosyncrasies of the oven than the mathematics of cake volume. 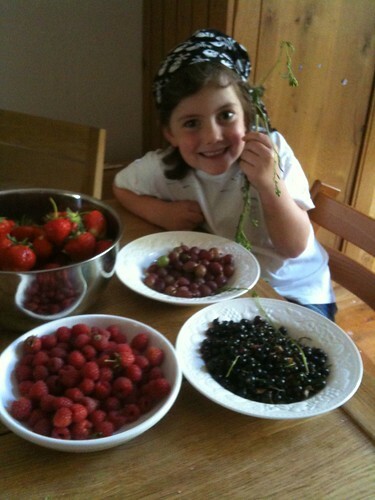 I took Miranda up to our local pick your own fruit farm this morning. Local-ish, we live in hilly livestock farming country, not rolling crop farming country. I mostly wanted to make a batch of strawberry jam. It’s been a couple of years since I made any jam – last year was a rainy summer where I didn’t manage to find a dry spell that coincided with the freedom to pop up to the PYO. So we went and picked strawberries. 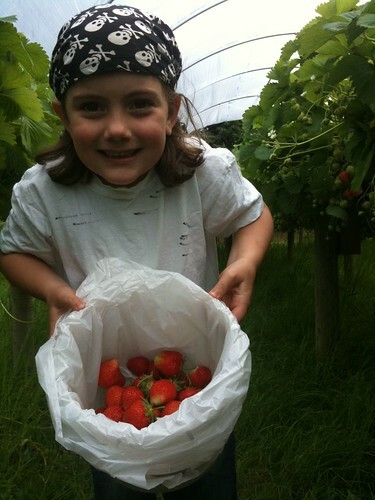 The strawberries were lovely – planted up on tables under poly tunnels – no back breaking leaning down to ground level and loads of just ripe fruit. Then we went and got a few raspberries. I’m not such a fan of raspberry jam so these were intended for breakfast with yoghurt. And then my five year old fruit fiend wanted to know what other fruit we could pick. So we ended up picking a portion of gooseberries and some blackcurrants too. We got mildly confused because the currently yielding crop was red gooseberries. I rather expected Miranda to turn her nose up at the gooseberries as I wasn’t at all sure I liked them myself, but she turned out to love them, as indeed did I. Maybe this variety weren’t as tart as I remembered them. We arrived home with our haul. I’d already earmarked the unexpectedly nice gooseberries for gooseberry fool – with only a vague idea of how to make a fool. [I more or less followed this recipe, you just fold together whipped cream, cold custard & gooseberry puree.] I wondered what to do with the blackcurrants. I googled for a recipe for blackcurrant jelly… and got sidetracked by a recipe for cassis…. 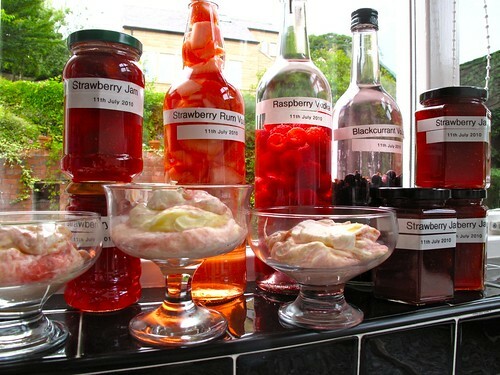 I know people make flavoured vodkas with soft fruits – I’ve mostly heard of it as a way of using up a glut of hedgerow blackberries – but I’d never tried it myself or realised you could use any old spirit and/or turn these into liqueurs at a later date. Plus I think I had it in the same box as home brewing and winemaking – which I like but can’t currently be bothered with the ins and outs of. e) drink, on it’s own, over ice, with wine, champagne, sparkling water, whatever! The recipes I found were all over the shop with regard to quantities, but the only major variations seemed to be whether you included the sugar in step a) or waited until step d). I played it by ear and made up some blackcurrant vodka, some raspberry vodka, and then acting on random internet post decided to try half white rum & half vodka with the strawberries. I’m already thinking blackberry brandy might be a good future addition. The plan is to leave the bottles until sometime before Christmas and then see about carrying on at step c), probably following d) for some of the produce and certainly partaking of step e). I’m very pleased with the results of my (and Miranda’s) labour and am planning on going back for more fruit now! This is turning into one of those cookalong blogs. I worried about that for a minute until I realised it was probably better that way than being one of those nothing-posted-on-it-regularly-for-about-five-years blogs. 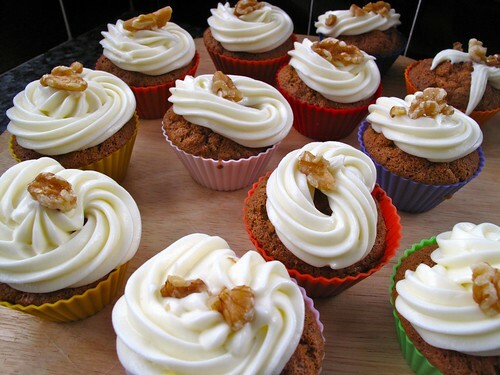 Another recipe from the Hummingbird Bakery Cookbook – this time it’s carrot cake. The recipe in the book is for an enormous single cake. I made half the quantity of cake mix and it made twelve cupcakes nicely. Halving the recipe is mildly awkward (involving 1.5 eggs) but worked fine. A single quantity of cream cheese frosting turned out to be very just slightly short of enough to ice the cakes but that might just be my lack of expertise with a piping bag showing. Miranda was a bit surprised to find there were actual carrots in carrot cake but still licked the bowl out, raw grated carrot and all. She was also disappointed that we didn’t ice carrots on the top as they do with carrot cake in cafes. None of this stopped her wolfing the cakes down I’m glad to say. 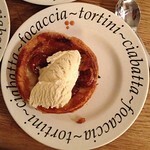 And the cakes were fabulous and well worth wolfing down. Highly recommended. I thought I’d follow up on my post about the Strawberry Cheesecake Cupcakes I made the other week as I tried out a second recipe from The Hummingbird Bakery Cookbook and had a much better experience with the recipe this time. This time I made the banana and chocolate cupcakes. I used my silicone cupcake cases which are slightly smaller than the paper “muffin” cases I used last time, but bigger than regular paper fairy cake cases. In these the recipe made exactly 12 cakes with a couple of them overflowing the cases in the oven. 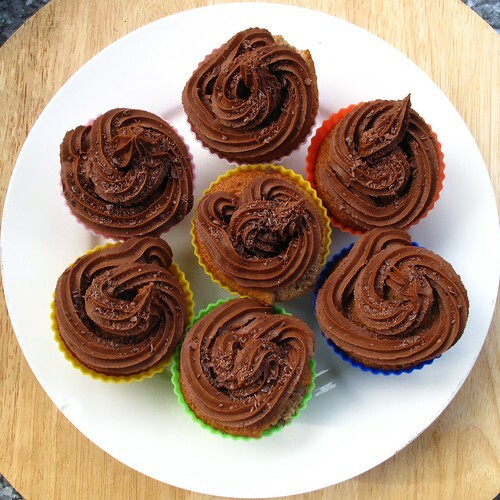 The chocolate frosting was the exact right quantity – there was a bit left in the piping bag but I wouldn’t have got all the cakes iced with any less. The only thing I thought was wonky was the amount of chocolate they suggested grating on the top. I can’t remember how much they suggested but I know I only used a fraction of my Green & Blacks for grating before eating the rest whole! Next time I’ll probably put a bit more banana in the cake mix as I didn’t think they were quite banana-y enough but that’s just a getting-the-taste-perfect issue not a recipe problem. They were lovely! I picked up this recipe book, The Hummingbird Bakery Cookbook, with some book tokens I had for my birthday as it seemed to be full of the kind of cake recipes I want. I have endless cookbooks full of recipes for ordinary cakes but these seemed to be the kind of more exciting flavoured cakes that catch your eye in a bakery that I’d love to be able to make at home. First recipe I tried out was the Strawberry Cheesecake Cupcakes. They were as delicious as expected but there were enough things slightly wonky with the baking process that I thought I’d write them down for another time. These may be my fault or the book’s, I’m not yet sure. The recipe has you put chopped up strawberries right at the bottom of the case and the cake mix on top. This made the cakes difficult to get out of the cases to eat and I think they may have been better with some cake mix under the berries and will try that next time. The cream cheese frosting mix would indeed have been just the right amount for 12 cakes…. but I only had eight. 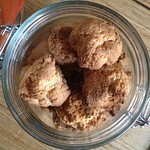 The recipe suggests smashing up 200g of digestives for the topping. That would have been way way way too much. Two or three biscuits would have been plenty. Hummingbird have a list of baking tips on their website which I’ve had a look at and am pretty certain I followed the instructions correctly. In any case the results weren’t perfect but they were delicious and I’ll be doing plenty more baking from this book soon. clotilde has made almond lemon curd. yum! pity i just made up a fresh batch of my lemon curd yesterday. i’ll have to save this idea for next time. 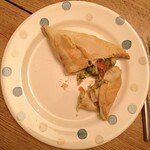 jennifer blogs her seven year old son’s vegan lunch boxes. please can she make another one and send it to me! tons of lunchy ideas to be had.